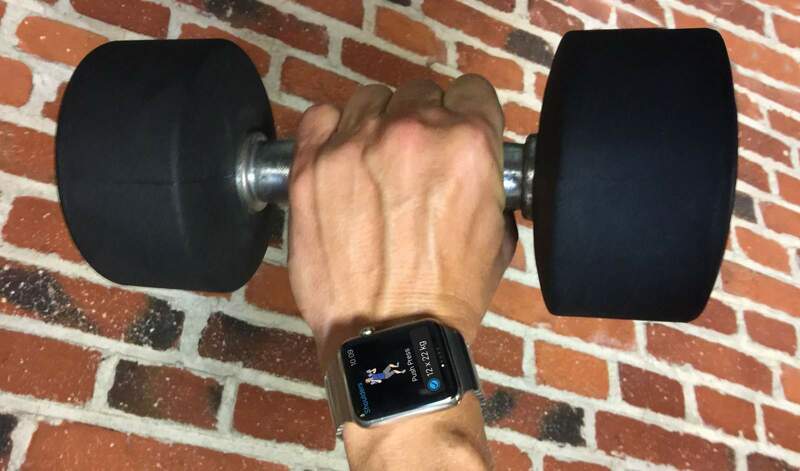 In June 2014, Cupertino registered a patent for a “body-bar sensing system.” The patent described a special clip you attach to a barbell or dumbbell that communicates wirelessly with your wristwatch to automatically count your reps (the number of times you repeat a lifting motion). Fast-forward three months, and Apple Watch was announced, with Apple placing fitness front and center as a key benefit. Weightlifting, however, was conspicuously absent. Instead, like the FuelBand that Apple’s new fitness guru, Jay Blahnik, previously worked on for Nike, the new wearable focused entirely on running and other movement-based activities. 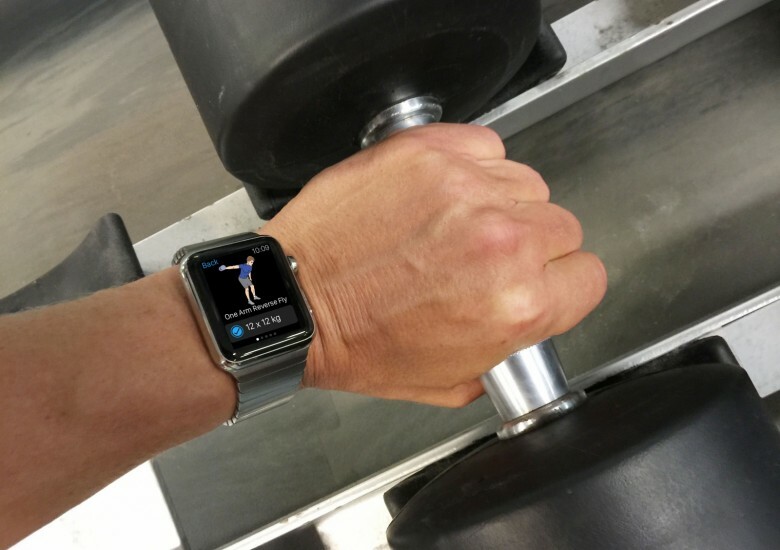 You might think the absence of weightlifting from Apple Watch is not a problem, especially if you associate that type of exercise with hulking Olympic athletes who grunt loudly as they hoist improbably large weights above their heads. That’s hardly Apple’s target audience, after all. But the appeal of weightlifting is far broader than that. While running and cycling may still be popular with “MAMILs” (Middle-Aged Men in Lycra), a younger generation of fitness enthusiast are shunning endurance sports in favor of activities that focus on strength and aesthetic gains. In other words, lifting. Hence the growing appeal of sports like CrossFit. The benefits of weightlifting are every bit as important as those of cardio. It helps increase strength and muscle mass, develop strong bones, control weight, boost stamina, manage chronic conditions and sharpen focus. So it’s not a question of doing either cardio or weightlifting — ideally you’d do some of both. In other words, without weightlifting, there is an important component missing from Apple’s fitness offering. If weightlifting is so important, why did Apple leave it out? While cardio exercise is relatively easy to track using GPS sensors to measure how far an individual moves, weightlifting is much more complicated. You need to be able to identify exactly what exercise the user is performing, and the amount of weight they are lifting. Currently, most gym-goers who track their weightlifting use an old-fashioned notebook or a gym-logging app like Reps & Sets (which I developed with my partner, Martin Algesten). The problem with this approach is that you must log everything manually. Which is time-consuming and dull — meaning only the most dedicated weightlifters currently log their workouts. Apple likes to provide simple solutions that are effortless to use. My guess is they are holding out on introducing support for weightlifting until they have found a truly elegant way of logging it. Apple Watch could soon be logging new kinds of workouts. Apple’s body-bar patent describes a clip containing an accelerometer that you attach to your weights. Since the Apple Watch has an accelerometer built in, this may no longer be necessary. The wearable could track your repetitions automatically, simply by monitoring the motion of your wrist. This is not a new idea. FocusMotion is a Los Angeles startup that has created an SDK for developers, enabling them to build this kind of tracking into their apps. They describe it as “the Siri for understanding human movement.” While Siri uses the microphone to interpret your speech, FocusMotion uses the accelerometer to interpret your movement. The company claims its SDK can not only count your reps, but even detect which exercise you are doing. So it can tell the difference between a press-up and a sit-up, simply by the motion of your wrist as you perform the exercise. FocusMotion is currently available for Samsung Gear and Pebble, but the company promises support for more smartwatches soon. And with watchOS 2 allowing third-party developers access to the accelerometer, FocusMotion will presumably come to Apple Watch. We haven’t yet seen what FocusMotion on Apple Watch can do. But if it is as good as it sounds, I think Apple should acquire it, and build the technology right into its fitness app. This could be the missing ingredient that enables Apple to add weightlifting to their fitness ecosystem in their usual elegant and simple way — and without the need for extraneous accessories. If Apple doesn’t do it, third-party developers almost certainly will. One day I hope I’ll be able to walk into the gym wearing my Apple Watch, complete my workout, and then, while I’m sipping a post-workout protein shake, review an automatically generated list of all the exercises I did, neatly displayed on my Apple Watch screen.